Obituary for Danny K Marlowe | Inman Ward Funeral Home of Tabor City, LLC. 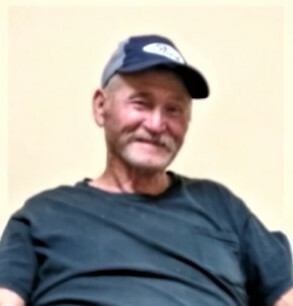 Mr. Danny Marlowe, age 65, of Cerro Gordo, NC, died Monday, February 11, 2019 in his home. Born December 14, 1953 in Columbus County, NC, he was the son of the late Henry Marlowe and Sudie Blackwell Marlowe. He is survived by two daughters: Danielle Rae Mintz of Cerro Gordo, NC, Judy Gail Floyd of Cerro Gordo, NC; five sisters: Betty Hayes of Asheboro, NC, Fannie Sanders of Chadbourn, NC, Lula Mae Norton of High Point, NC, Katherine Casey of Lexington, NC, Jeanette Marlowe of Cerro Gordo, NC; and one grandson: Ayren Floyd. In addition to his parents, he was preceded in death by one granddaughter: Marina Grace Mintz; and three sisters: Geneva Strickland, Kathleen Marlowe, Mary Newman; and one brother: Richard Marlowe. A memorial service will be held Saturday, February 16, 2019 at 2 PM in the Inman Ward Funeral Home Chapel.